Creative solutions to agricultural water management in an arid region of India are boosting yields and incomes for smallholder farmers. In the arid desert conditions of India’s Barmer district in western Rajasthan, where rainfall averages 11 inches per year, farmers’ livelihoods are yoked to the reality that water is scarce. Many farmers in this region have historically favored two plants – cumin and psyllium – for their drought tolerance and relatively predictable yields. Yet market prices for these crops are low, and thousands of farming families have long struggled to climb out of poverty. 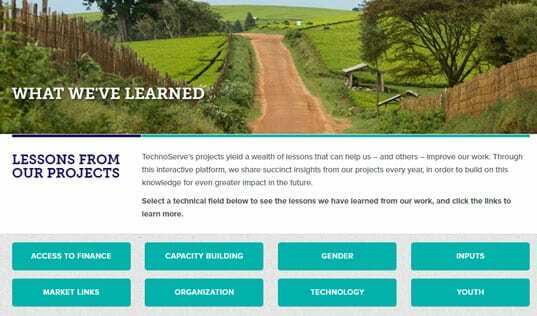 Cairn India, an oil and gas company with major operations in the area, recognized the challenges faced by local farmers, and has partnered with TechnoServe to undertake an initiative helping to increase incomes and boost the local economy. The Barmer Unnati project is designed to raise the annual revenue of 10,000 households within five years of joining the program. The program is providing training and technical assistance in natural resource management to address the water scarcity, and helping farmers diversify their crops and connect to markets. One of the key innovations of the program is the construction of more than 500 water management structures called khadins. Visually striking, khadins are large earthen embankments built across sloping farmland. The khadins collect surface runoff water during the rainy season and restore the land where it is captured, making it more fertile for crops even in drought conditions. Khadins also help to improve the soil quality of the region, as they help retain topsoil that would otherwise be lost to erosion. Better water management and richer soil allow farmers to branch out into other crops that have not traditionally been cultivated in Barmer, including vegetables. 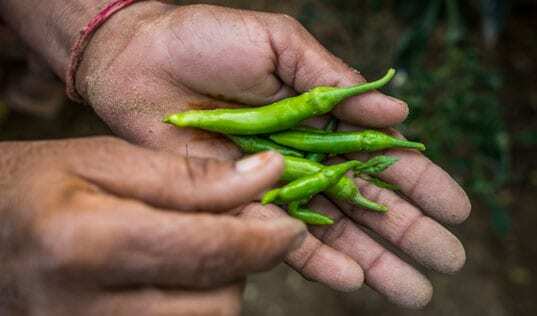 Kala Ram is a progressive farmer who has been growing vegetables for the past decade, despite the susceptibility to crop loss and high level of labor. This year, with improved inputs and technical guidance from Barmer Unnati, Kala has increased the portion of his land dedicated to his vegetable cultivation, introduced tomatoes (a high revenue crop), and has already more than doubled his vegetable income over last year, even as harvesting continues. Based on this success, Kala Ram plans to scale up the amount of land he uses for vegetable cultivation fivefold. Thanks to support from TechnoServe advisors, he is confident in his ability to grow vegetables despite the difficult agro-climatic conditions. The project is proving that tenacity and creativity can help hardworking men and women overcome some of the most challenging climatic conditions. Barmer Unnati also has a strong focus on promoting youth participation in agribusiness, and developing new revenue streams for women in the region. In a pilot project, TechnoServe helped seven female participants and three young Cairn Agri-Fellows (winners of Cairn’s youth agribusiness fellowship) set up oyster mushroom cultivation units in their yards. Oyster mushrooms are high-yield, highly tolerant fungi that require little water to grow. Each unit is capable of producing 130 pounds of mushrooms. 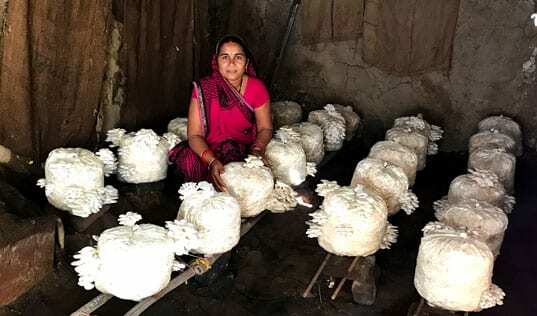 TechnoServe’s project team created a “Barmer Unnati” brand mushroom and helped participants with post-harvest handling, packaging, and selling the product to local hotels and restaurants. After a successful initial harvest, the team is looking to broaden its marketing effort by reaching out to additional local buyers, including the military. 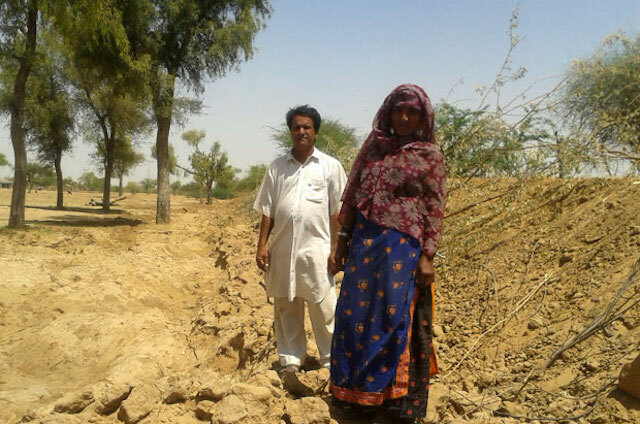 The Barmer Unnati project is proving that tenacity and creativity can help hardworking men and women overcome some of the most challenging climatic conditions and improve their families’ livelihoods.